Book News: National Book Awards' '5 Under 35' Picks Are All Women : The Two-Way Also: J.K. Rowling will write a screenplay set in the magical world; Tina Brown is coming out with a memoir. 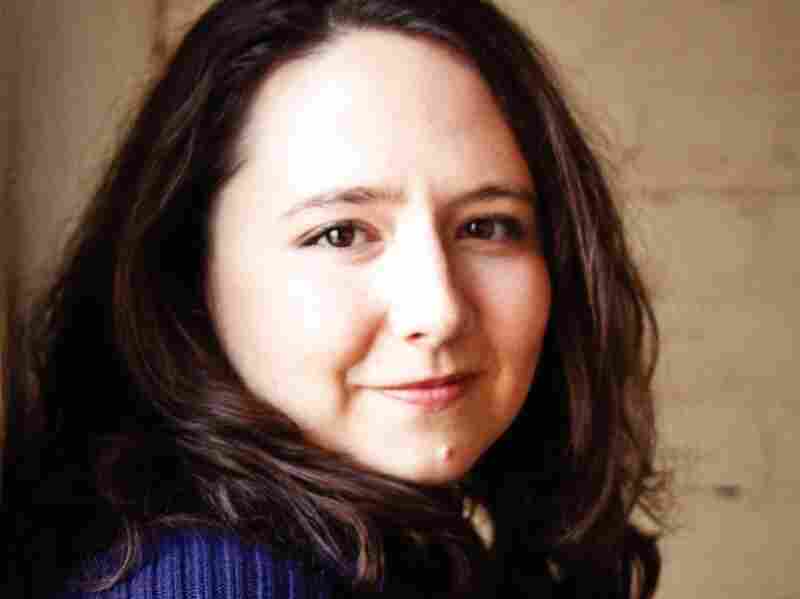 Amanda Coplin received her MFA from the University of Minnesota, and now resides in Portland, Ore.
For the first time ever, the National Book Awards' annual '5 Under 35' list is made up of all women writers. Molly Antopol, NoViolet Bulawayo, Amanda Coplin, Daisy Hildyard, and Merritt Tierce have been selected by a committee made up of former National Book Awards winners. This has been a good week for Bulawayo, who was just shortlisted for the Man Booker Prize for her novel We Need New Names. Ellah Allfrey, writing for NPR, called it "one of the most powerful works of fiction to come out of Zimbabwe in recent years — a clear-eyed indictment of a government whose policies, in the decades since independence, have left many of its citizens destitute." As NPR's Mark Memmott reported Thursday, J.K. Rowling is writing a screenplay for Warner Bros. set in the magical universe of Harry Potter. The screenplay, called Fantastic Beasts and Where to Find Them, will be based on Harry Potter's textbook of the same name. Rowling wrote in a statement on her website: "Although it will be set in the worldwide community of witches and wizards where I was so happy for seventeen years, Fantastic Beasts and Where to Find Them is neither a prequel nor a sequel to the Harry Potter series, but an extension of the wizarding world. The laws and customs of the hidden magical society will be familiar to anyone who has read the Harry Potter books or seen the films, but Newt's story will start in New York, seventy years before Harry's gets underway." And three raven-haired sisters will come to prominence. And their leader shall bear progeny with the man known as RUNAWAY." Tina Brown, the longtime magazine editor who helmed Tatler, Vanity Fair, The New Yorker and The Daily Beast, will write a memoir called Media Beast, she told The New York Times in an interview. The news of her memoir follows her announcement Wednesday that she would leave The Daily Beast to start a conference company. Brown told The Times: "I've seen a great deal, I've seen so much change, so much up close, amazing forces at work in the media business." Jon Krakauer, whose bestselling book Into The Wild follows Chris McCandless, a hiker who died after surviving for months in the Alaskan wilderness, has written an addendum to the book for The New Yorker. Krakauer's theory of McCandless' death — that he had accidentally poisoned himself with wild potato seeds — was met with wide derision after the seeds were tested and found to be safe. But Krakauer says new research may prove him right after all: A recent paper suggests the seeds shared a toxin with the grass pea, which killed inmates of Vapniarca, a World War II-era concentration camp in the Ukraine. Krakauer says the toxin is most dangerous for young men, like McCandless, on the brink of starvation. Krakauer writes tha, had McCandless known the seeds were toxic, he "probably would have walked out of the wild in late August with no more difficulty than when he walked into the wild in April, and would still be alive today. If that were the case, Chris McCandless would now be forty-five years old."